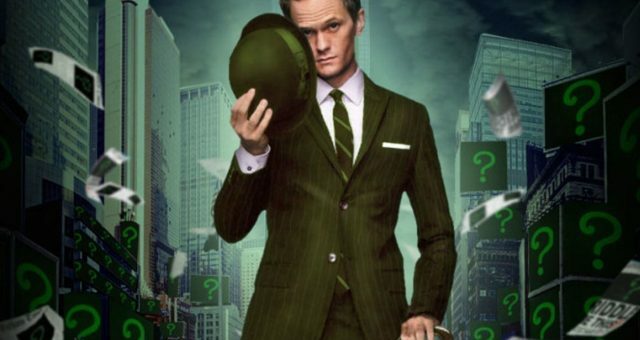 A couple of years ago, back in December 2015, Neil Patrick Harris took to Twitter to say that he would be “totally” up for playing Batman villain the Riddler opposite Ben Affleck in the DC Extended Universe. Now, fans have taken the How I Met Your Mother star up on his word and have began a petition that calls for Warner Bros. to hire him. As fans of the Dark Knight will know, the Riddler has been played twice before in the movies. First by Frank Gorshin in the 1960s Batman film (and its accompanying TV series) and then by Jim Carrey in 1995’s Batman Forever. Since then, fans have campaigned to get various actors to fill the role over the years – Robin Williams, David Tennant and, most notably, Leonardo DiCaprio – but nothing’s come to fruition. While it hasn’t been confirmed that Warner Bros. even plans to include the Riddler in the DCEU, it was heavily rumoured that Jesse Eisenberg was originally cast in Batman V Superman: Dawn of Justice for a cameo role as Edward Nygma. Once the character was cut from the script, though, he was shuffled over into the much more significant role of Lex Luthor. Could the studio bring the villain back somewhere down the line, then? It’s certainly possible. As for NPH playing the part, well, if the filmmakers wanted to continue the legacy of Gorshin and Carrey, Harris would definitely be able to portray the character in the same campy, energetic way as those two actors. However, if DC wanted to go in a more modern, darker direction with Nygma, he wouldn’t be a particularly great fit. We’ll just have to wait and see what Matt Reeves has in store for us with The Batman, but whether Harris plays him or not, we’d certainly love to have the Riddler in the DCEU one day.